Choose the mattress tension to suit you. Soft, Medium or Firm. 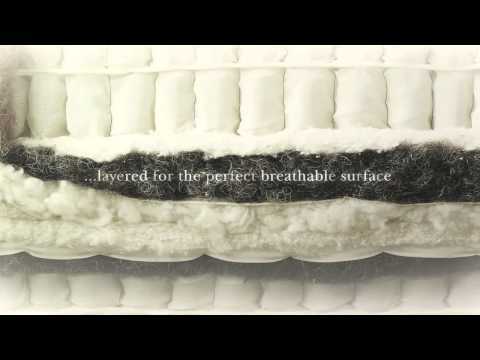 The Herald Superb mattress is one of a kind. Made by top Vispring craftsman for over 8 decades, this tried and tested model is expertly made to order with a super recipe of upholstery. Herald Superb continues on from Devonshire in the range and has a vastly upgraded specification of all the mattresses so far. Extra layers of Platinum fleece wool, cotton and horsehair makes this mattress feel purely indulgent and super supportive. The genuine side stiching of the mattress borders helps it last longer and if you turn it regularly you'll have many extra years use with a consistant supportive feel. You must try it!